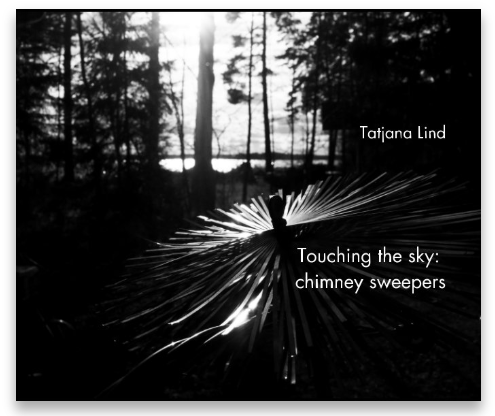 Touching the sky: chimney sweepers, Tatjana Lind. Blurb Books, 2018. English. Softcover: 9780464961833. 112 pages, 250x200 mm. B&W photos and stories of chimney sweepers from 13 different countries for 5 years (2012-2017). While working on the project on chimney sweepers, the author - Tatjana Lind accompanied them almost everywhere – during their work in apartment buildings and private houses, at lunches, holidays and parades, meetings and training events. The work of a chimney sweeper is really hard, requiring special skills and proficiency, and sometimes it even happens to be harmful and dangerous. And despite the peculiarities of this profession in different countries, all the chimney sweeps share one thing – they all have an opportunity of touching the sky. Preview and direct purchase here in Blurb.